Aerosol Can the most economical pack to add convenience for different product applications. India being a very cost conscious market, HTW has invested into 3 pc. Aerosol can which will be highly cost competitive compare to other options available in the market offering tghe same level of convenience as well as aesthetics by excellent printability and graphics. Tin Cans are not only convenient but are also 100% recyclable and hence environment friendly. Aerosol Can the most economical pack to add convenience for different product application. 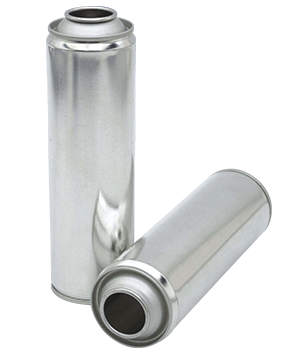 Aerosol Cans are used for insecticides, room freshner, deoderants, car paints and industrial products.